I am embarrassed to say that I have not made it to my quilt guild’s meeting once this year. Everything that we take the kids to happens on Tuesday nights. So, this week with my daughter home from college, I took advantage of the extra driver and made it to the meeting.We are really fortunate to have a large guild of about 400 members and every other month bring in a great teacher who stays for two days of workshops and one of the nights gives a lecture to the entire guild. 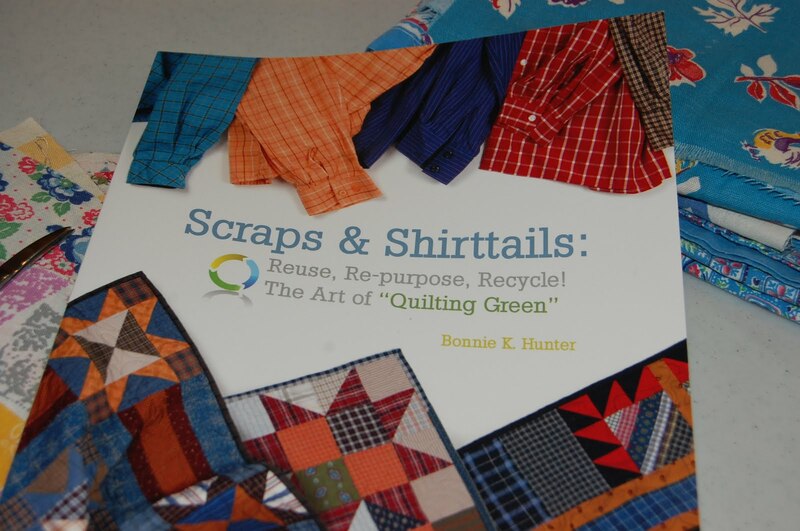 This month was Bonnie Hunter who makes amazing scrap quilts from recycled scraps and men’s shirts. She was extremely energetic and has made great use of her scraps specifically what she calls ” leaders and enders”. I really didn’t think this process would be beneficial to what I am doing right now-oh, how wrong I was! I am just generating a huge amount of scraps and would love to deal with the scraps other than jumble them into a bin. I did buy her book and love it. Yes, I am a bit of a book junkie, I admit but this was worth it. 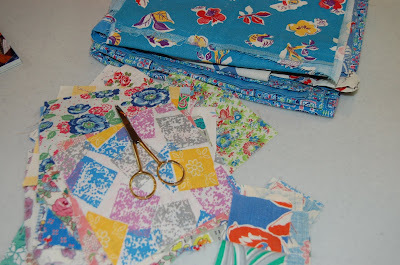 I will start a little bin or basket of two inch squares when I cut my solid colored strips and see what happens. I also have a huge amount of vintage feedsacks and pillowcases tucked away in a drawer that I could use for the same purpose. So, last night at 9:30 when I sat down to catch up on my blogs, I read this post from Be*mused who made a cute little basket from Pink Penguin. I downloaded the free pattern and escaped upstairs to get to work….And two hours later, I made my own cute basket. I pieced the little squares individually but how easy it would be with a strip unit. I just love it and I haven’t made something other than a quilt in a long time. I used regular batting for the lining but next time would choose something a little stiffer. It’s going to be the place next to my sewing machine where I put the glasses I can never find! And I think it would make a great gift. So, go find your scraps and get to work. Fifteen minutes here and there and you will have an instant gift. 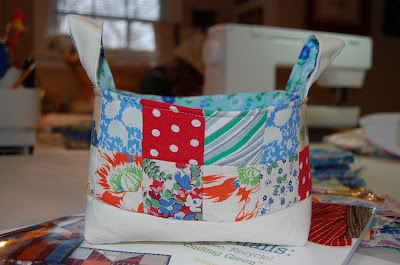 This entry was posted in basket, Vintage sewing on March 25, 2010 by Colleen Kole.